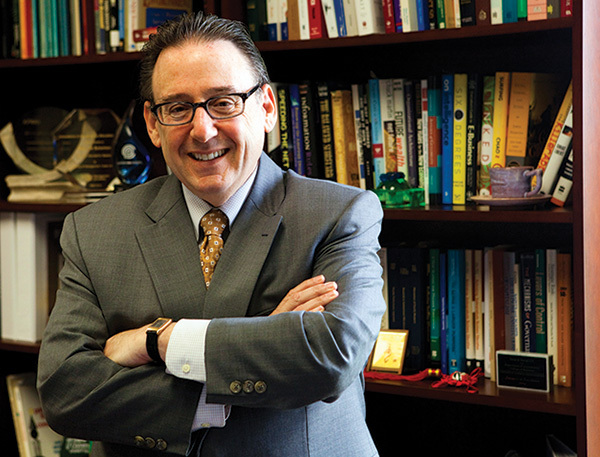 Ira Solomon has been reappointed to a second term as dean of the A. B. Freeman School of Business. Ira Solomon, the Debra and Rick Rees Professor of Business, has accepted reappointment for a second five-year term as dean of the A. B. Freeman School of Business. The reappointment was announced by Tulane Provost Michael Bernstein in April in an email to faculty and staff. Under Dean Solomon, the Freeman School has expanded and strengthened its faculty, improved its classroom and other educational facilities, enhanced its Career Management Center, and developed new and innovative educational programs. Of special note is that Solomon led the effort to develop and grow an array of specialty master’s programs (including accounting, finance, energy management and general management), sustain a rapidly growing undergraduate major, and start a four-year intensive MD/MBA program. Solomon also expanded the Freeman School’s commitment to research and education in the field of entrepreneurship, receiving one of the largest philanthropic gifts in school history to establish the Albert Lepage Center for Entrepreneurship and Innovation. He also energized engagement with alumni, and led one of the most dramatic periods of growth in the accumulation of development resources for use by the school. 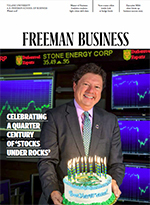 In the 2014-2015 academic year alone, the Freeman School secured nearly $25 million in major philanthropic commitments. Many of those pledges have been in support of a major building expansion and renovation project, an effort that began in May and which will add 45,000 square feet of space for the benefit of faculty, staff, students, alumni and the wider Tulane community. of 2011. Throughout a distinguished career, Solomon has focused his research and teaching on external auditing and attestation. He has published more than 40 scholarly articles, monographs and books, many of which have been recognized for their innovation and impact by organizations such as the American Accounting Association (AAA) and the American Institute of Certified Public Accountants (AICPA). He has served as an associate editor of the Accounting Review and Accounting Horizons and is currently on the editorial boards of numerous journals. Solomon also served as a vice president of the AAA and as research director, vice president and president of the AAA Auditing Section. The AAA recognized Solomon as the Outstanding Auditing Educator of 1997. Also, in 1997, 2000 and 2003, the AAA Auditing Section recognized him for Outstanding Dissertation Supervision. In 2009, Solomon received a Special Award of Merit by the Illinois CPA Society and recognition by the AICPA for Distinguished Achievement in Accounting Education. More recently, Solomon has served as a member of the Board of Directors of the Association to Advance Collegiate Schools of Business (AACSB) and as a member of the Research Advisory Board of the Center for Audit Quality.